In this podcast David discusses police accountability with Rick Torres, a retired State of Connecticut Agency Police Officer, former member of the Hartford Civilian Police Review Board, and certified use of force instructor. In the Policy Watch segment David features analysis of the East Haven and Baltimore police corruption scandals, the marginalization of Black and Latinx students in the national gun violence debate, and corporate media bias. 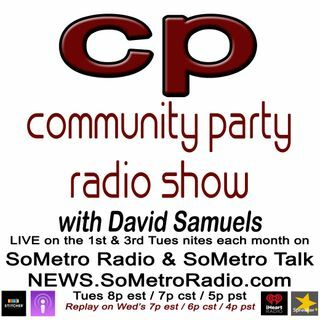 Community Party Radio Show is hosted by ... See More author and political activist David Samuels, author of the book False Choice: The Bipartisan Attack on the Working Class, the Poor and Communities of Color. Pick up your copy of the book on Amazon. Take the time to subscribe to the show on iTunes, iHeart Radio, Google Play, Stitcher, Spreaker and other podcast platforms.